The Speculative Literature Foundation is taking applications for its inaugural Diverse Writers Grant and Diverse Worlds Grant until July 31. The Diverse Writers Grant is intended to support new and emerging writers from underrepresented and underprivileged groups, including writers of color, women, queer writers, disabled writers, working-class writers, and those whose marginalized identities may present additional obstacles in the writing and/or publishing process. The Diverse Worlds Grant is intended for work that best presents a diverse world, regardless of the writer’s background. Each grant is worth $500. The winners for both grants are expected to be announced by September 15, 2014. A brief statement as to what aspects of the applicant’s background are relevant in terms of diversity, including being a writer of color, female or trans, queer, disabled, or working-class. A one-page written description of the project in question, which should total no more than 500 words. A new, in-progress work up to 5,000 words of fiction. The 2014 jurors for the Diversity Grant are: KC Ball, Maria Velazquez, Zen Cho, Constance Burris, Kiini Ibura Salaam, MJ Hardman, and Malon Edwards. 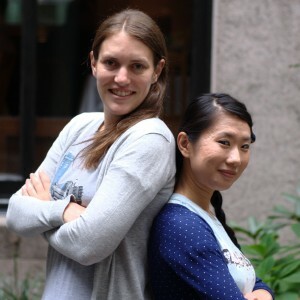 These two new grants are made possible by the contributions of two donors, Ellen Wright (Senior Publicist, Hachette Book Group) and Faye Bi (Associate Publicist, Little, Brown Books for Young Readers), who ran a marathon to raise enough funds to support three years of the grants. The Speculative Literature Foundation is pleased to announce the application period for our inaugural Diverse Writers Grant and Diverse Worlds Grant is now open. These two new diversity-centered grants are intended to foster the creation of speculative fiction work rich in diversity. Applications for the Diverse Writers Grant and the Diverse Worlds Grant will be accepted from May 1, 2014 until July 31, 2014. The winners for both grants are expected to be announced by September 15, 2014. Writers may apply for either or both grants; however, one’s writing sample does not need to center on identity issues. The Speculative Literature Foundation is looking for writing that offers deep characterization, complex cultural landscapes, and strong literary quality overall – not token characters or roles. Currently, we are offering one $500 Diverse Writers Grant and one $500 Diverse Worlds grant annually. The Diverse Writers Grant and the Diverse Worlds Grant, as with all of our Speculative Literature Foundation grants, is intended to help writers working with speculative literature. The Speculative Literature Foundation is a volunteer-run, non-profit organization dedicated to promoting the interests of readers, writers, editors and publishers in the speculative literature community. “Speculative literature” is a catch-all term meant to inclusively span the breadth of fantastic literature, encompassing literature ranging from hard and soft science fiction to epic fantasy to ghost stories to folk and fairy tales to slipstream to magical realism to modern mythmaking — any literature containing a fabulist or speculative element. This entry was posted in Like Show Business and tagged Speculative Literature Foundation by Mike Glyer. Bookmark the permalink.